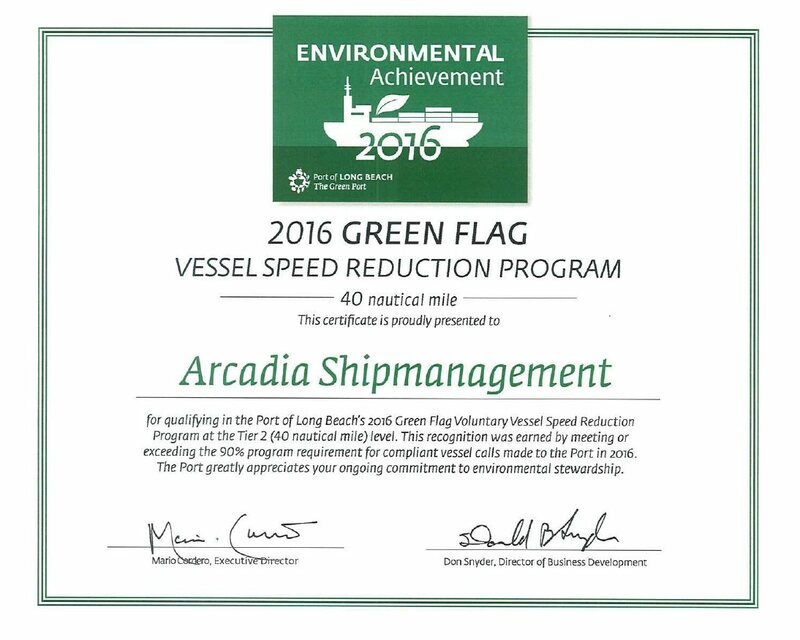 The port of Long Beach is pleased to present Arcadia Shipmanagement with the Green Environmental Achievement Award. This award is being granted to operators that called the Port of Long Beach in 2016 and demonstrated that 90% or more of all its vessel trips complied with the Green Flag – Voluntary Vessel Speed Reduction Program. 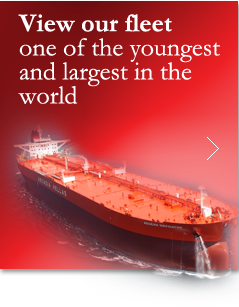 having the year’s largest delivery program of tankers above 100,000 dwt worldwide with its own fleet to be one of the youngest in the industry with an average of less than three years. its commitment in continuous training and education. ARCADIA operates its own modern training centre for crew and shore personnel, which in 2007 became only the second of its kind in Greece to be certified by Det Norske Veritas. 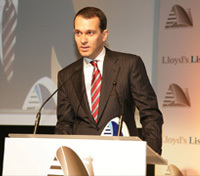 The fleet tanker “AEGEAN ANGEL” won the AMVER ASSISTED RESCUE Award during Lloyd’s List Global Awards on 2009, for rescuing the 11-men crew of the Korean flagged cargo vessel “TEL TALE II” who were forced to abandon the ship which was sinking 300 miles south of Puerto Rico on 16 April 2008. The “AEGEAN ANGEL” responded to an AMVER callout and deviated to the scene for providing assistance to the distressed mariners. The “TEL TALE II” crew was safely rescued thanks to the prompt reaction by the crew of AEGEAN ANGEL and communication with AMVER Command Center.